Manga is a diverse and popular art form in which artists tell stories through pictures and words. Japanese manga artists find inspiration for their work in daily life, the world around them, and also in the ancient past. Many people are familiar with modern manga, but the art form – with its expressive lines and images – is much older than you might think. As the Citi exhibition Manga マンガ is announced, here is a brief history of Japanese manga in 12 works. Around the year 1200 AD, a humorous, anonymous artist produced a set of painted handscrolls that show rabbits and monkeys bathing in a river, frogs and rabbits wrestling, and other scenes where animals behave like humans. 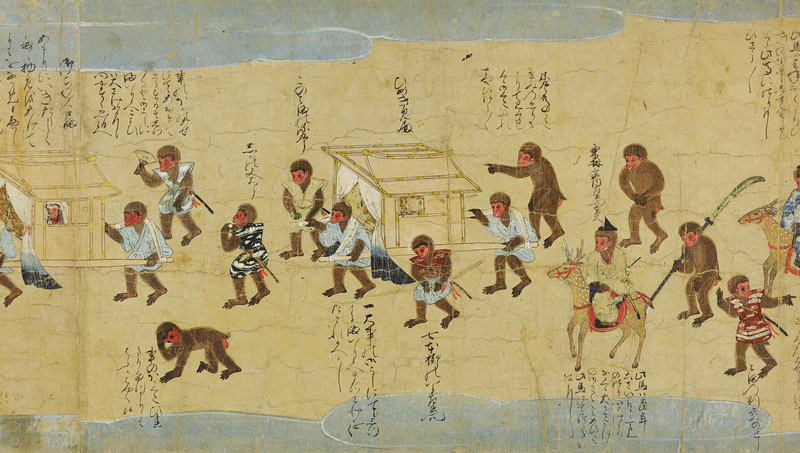 Known as the Handscrolls of Frolicking Animals (Chōjū giga), this work is considered by some to be the foundation of modern manga. The Tale of the Monkeys made in the late 1500s follows on from this and shows monkeys acting out serious and comical human situations. It includes early examples of speech bubbles (fukidashi), and other techniques essential to modern manga – figures appearing multiple times within a single illustration, a strong sense of visual progression, funny details within a larger scene, and the dominance of visual action over text. 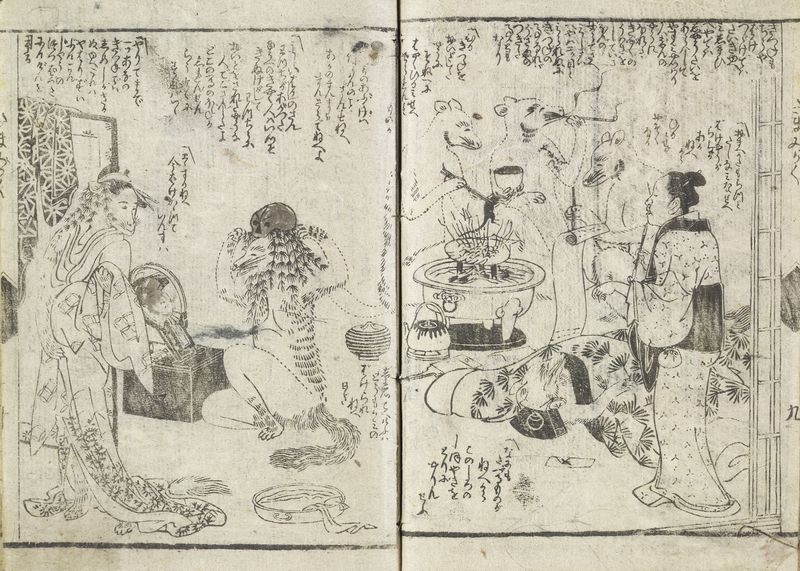 By the late 1700s, Japanese artists were combining pictures and words in comic illustrated novels (kibyōshi) that commented on, and sometimes satirised, aspects of contemporary society. 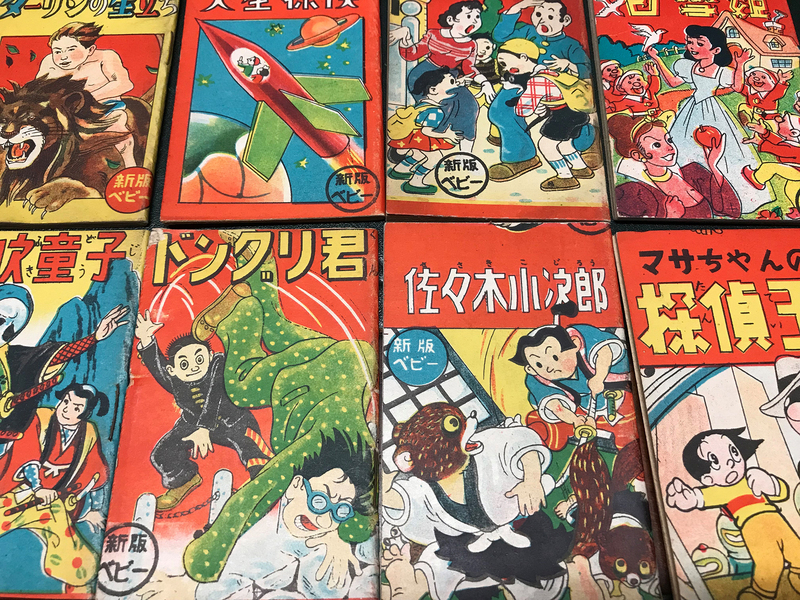 These novels were published in large numbers mainly for newly rich and literate urban audiences and show that from an early stage, Manga could be political. 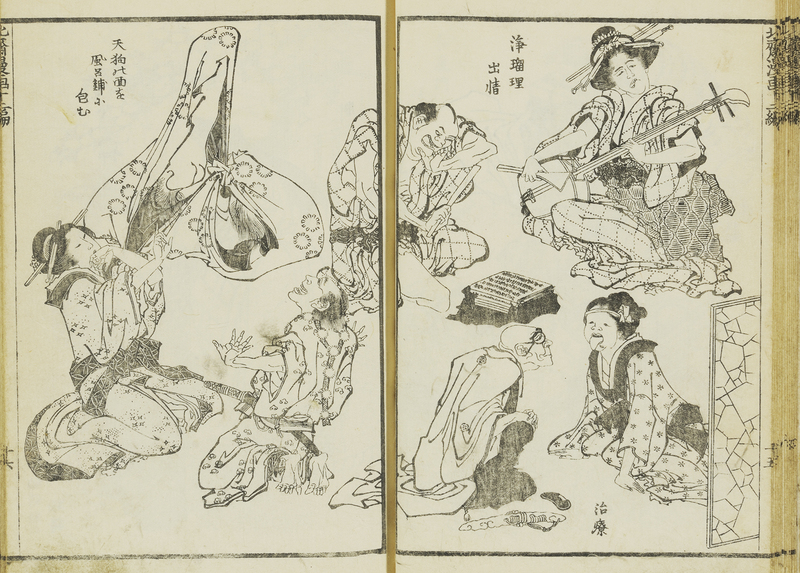 The word ‘manga’ (漫画) has been used to describe various styles over the last two centuries. Artist Katsushika Hokusai (1760–1849), the designer of the famous print, The Great Wave, has become closely associated with it because he chose ‘manga’ for the title of a series of picture-books that he published starting in 1814, the Hokusai manga. 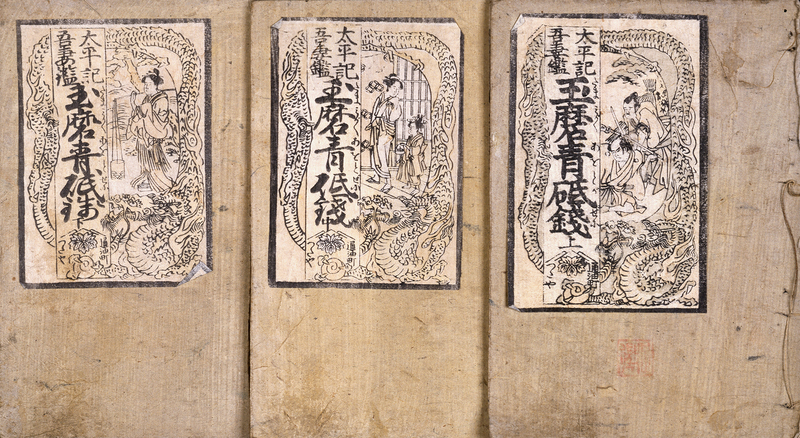 These books are collections of assorted sketches, not narratives telling a story, so we have to remember that while Hokusai brought the word manga to popular attention, he thought about it differently than we do today. In 1858, after Japan opened its doors to international trade, a foreign settlement and new port were opened at Yokohama. The first newspapers printed in Japan were created there, including Japan Punch by Charles Wirgman. 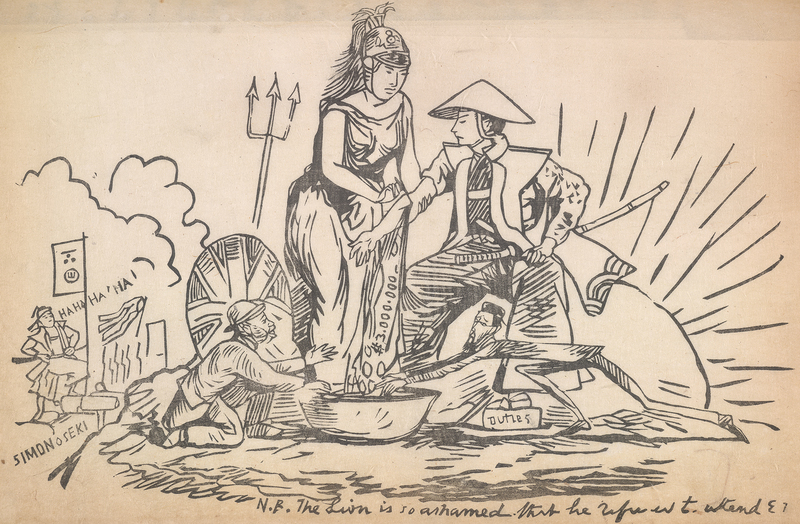 Published from 1862–1887, Japan Punch presented cartoons satirising local westerners and the difficulties they had in establishing commercial and diplomatic relations with the Japanese. The journal had a major influence on Japanese artists and writers who, at the time, were concerned about Japan’s rapid modernisation, and established similar publications to satirise Japanese government policies. 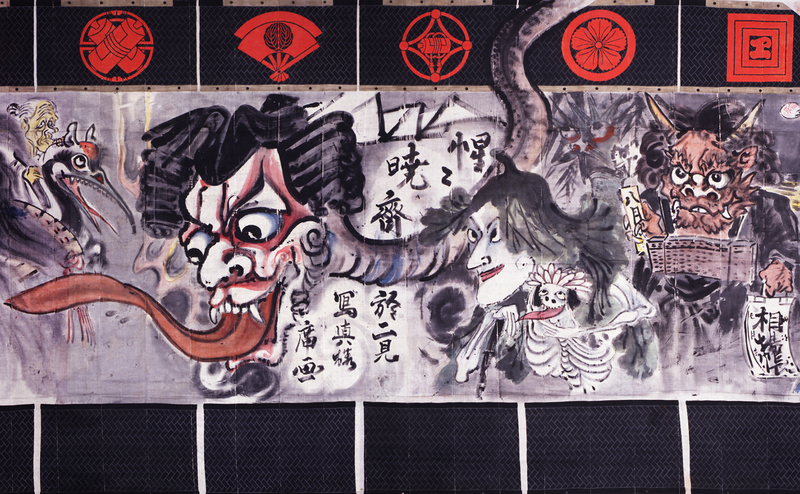 Artist Kawanabe Kyōsai (1831–1889) painted this provocative and humorous stage curtain for the Shintomi Theater on 30 June 1880. That day, after consuming a few bottles of rice wine, Kyōsai retreated to a studio and started painting. Four hours later he emerged with 17 meters of painted curtain, depicting the members of the acting company as various kinds of monsters. Kyōsai’s homage to the actors created a sensation. His spontaneous wit and expressive line stand at the root of modern manga. Hints of the development of the Japanese manga market appear in early photographs, such as photos of print shops taken around the late 1800s, and also in the appearance of new publications like Topical Manga (Jiji manga). 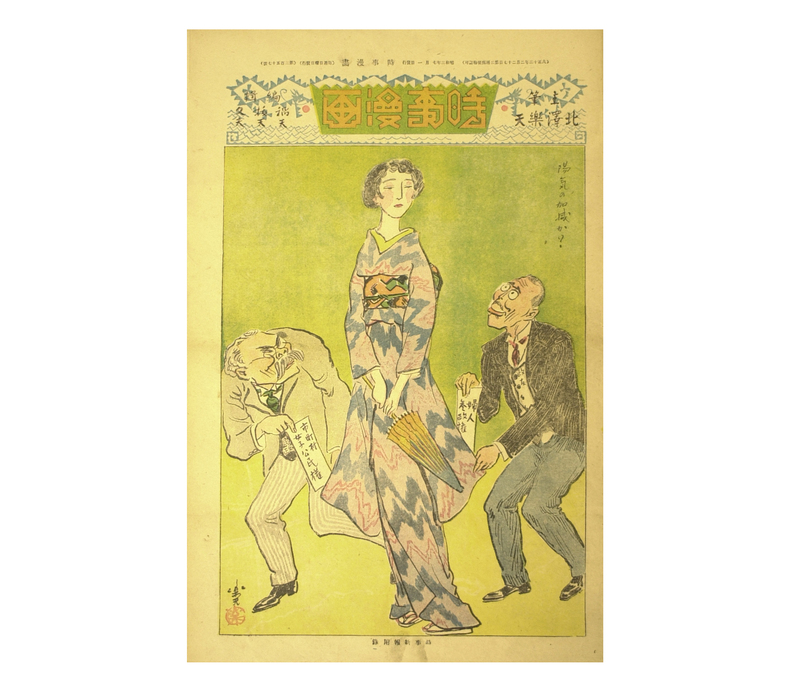 Illustrator and commentator Kitazawa Rakuten (1876–1955) launched this humorous newspaper in 1902 as a Sunday supplement to News of Current Affairs (Jiji shinpō). He modelled Jiji manga on the Sunday comics sections of US newspapers. Manga as we know it today first emerged from an international background of serialised cartoon strips in magazines and newspapers in the 1920s. 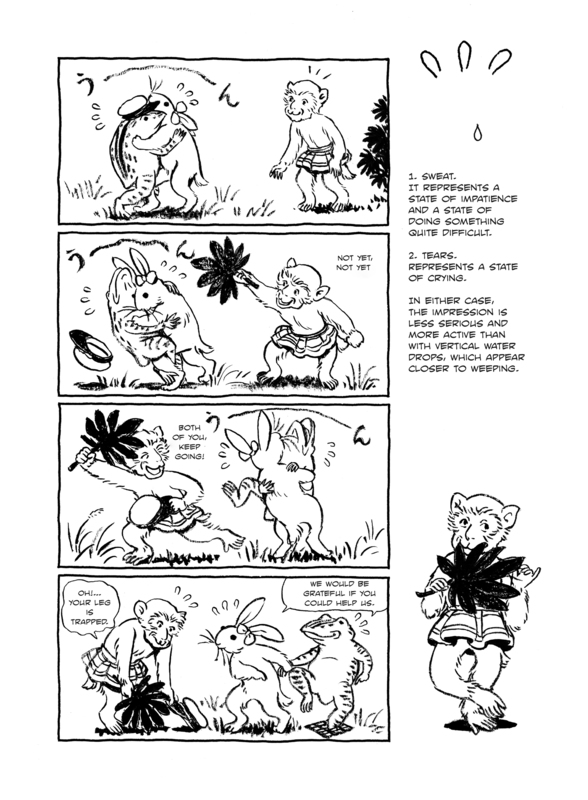 Okamoto Ippei (1886–1948) arranged for the syndication of US cartoons in Japan, such as George McManus’ Bringing up Father and Bud Fisher’s Mutt and Jeff. He also founded a school encouraging manga artists to work in their own individual styles. 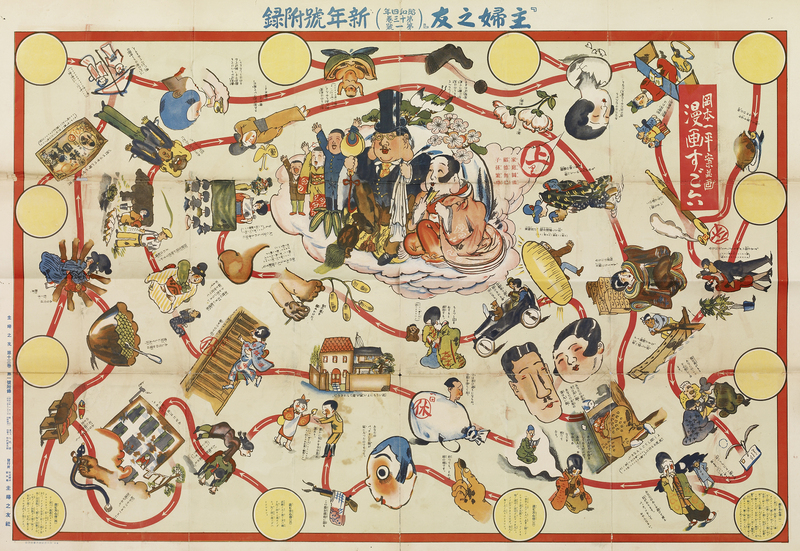 Manga sugoroku is a board game that Okamoto Ippei designed in 1929 and shows the lifestyle choices available to the modern young woman. In the late 1940s, the post-war occupation of Japan by Allied forces introduced new forms of censorship. Japanese people also had little cash to spend, so a trend emerged in Osaka for printing cheap, long-format storybook manga called ‘red books’ (akahon), which were sold at roadside stalls. One outstandingly successful red book was New Treasure Island (Shin Takarajima), produced in 1947 by the young Tezuka Osamu (1928–1989) and Sakai Shichima (1905–1969). The title rapidly sold 400,000 copies! In the 1960s, Shirato Sanpei (b. 1932) was a key figure in the genre of ‘dramatic pictures’ (gekiga), and an innovator who helped to create the avant-garde manga magazine Garo, in which participating artists retained control over the editorial process. This policy coincided with alternative ideas current in the 1960s and early 1970s. 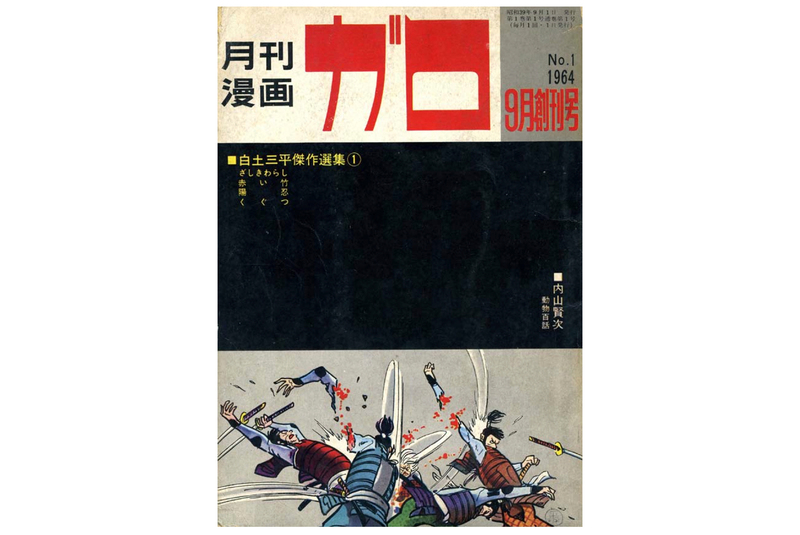 Shirato’s series Legends of Kamui (Kamuiden) chronicled various struggles against injustice and corruption, and became a classic of its genre. 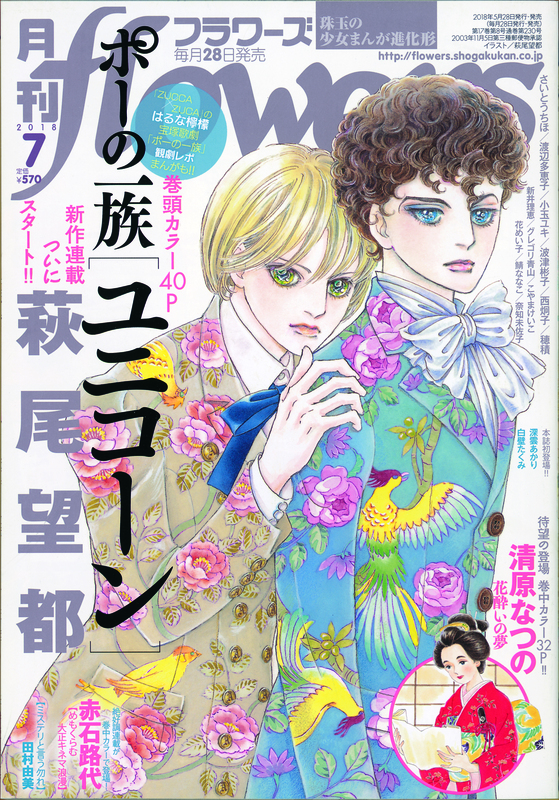 In the 1970s, the long-established genre known as ‘girls’ manga’ (shōjo manga) saw new developments, such as stories that featured only boys, love between boys, and friendship approaching love. Representative of the period is The Poe Clan (Pō no ichizoku), published from 1972. The golden age of manga arrived in the 1980s and 1990s, following Japan’s economic boom. The peak came in 1995 – that year alone, 1.34 billion manga collections (tankōbon) were published. 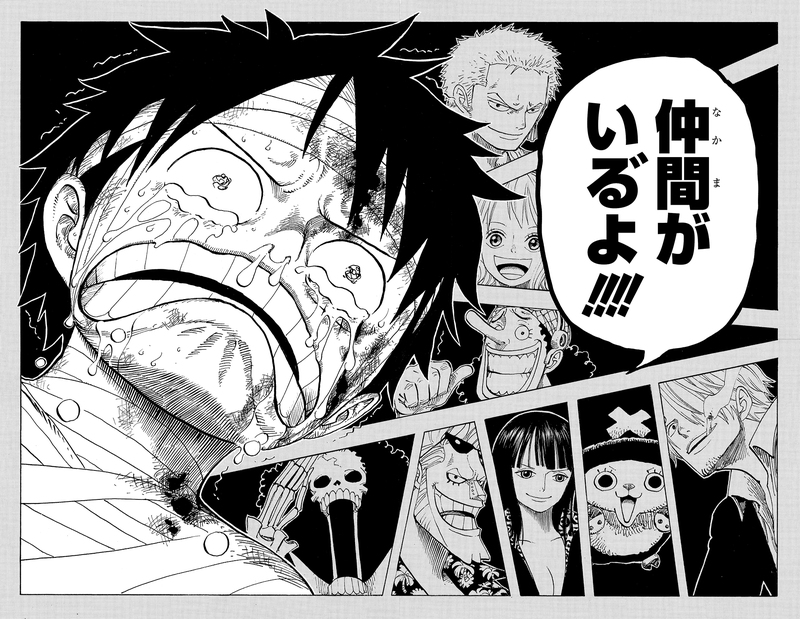 Among the most successful recent manga is ONE PIECE, which has been running continuously since 1997. It tells the adventures of Monkey D. Luffy, a boy whose body has become magically rubberised and who travels the world on a pirate ship in search of the priceless treasure called ONE PIECE. ©Fumiyo Kouno／Asahi Shimbun Publications Inc. Some modern manga artists have been making fresh connections between historical and contemporary manga. In her book Gigatown, Kōno Fumiyo borrows characters from the famous Frolicking Animals handscrolls (painted about AD 1200) to explain the signs and symbols that manga artists frequently use to suggest actions or emotions (manpu). Enter a vivid world where art and storytelling collide – brought to life like never before in this ground-breaking exhibition. The Citi exhibition ‘Manga マンガ’ opens 23 May 2019.